FINISH: Levi brought this frame to us with a ‘do-what-you-want’ type brief. 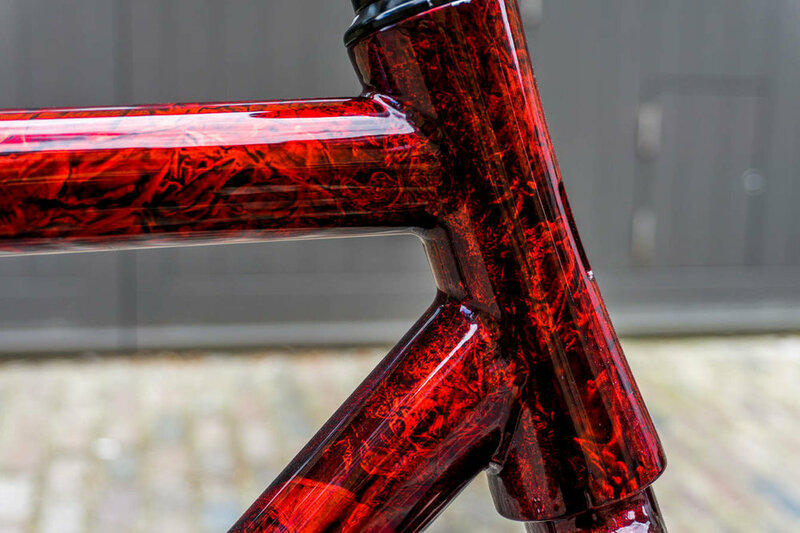 We went a little OTT and gave him an all-over, three shade, smoked marble (done in the old school method) with a red candy over it. 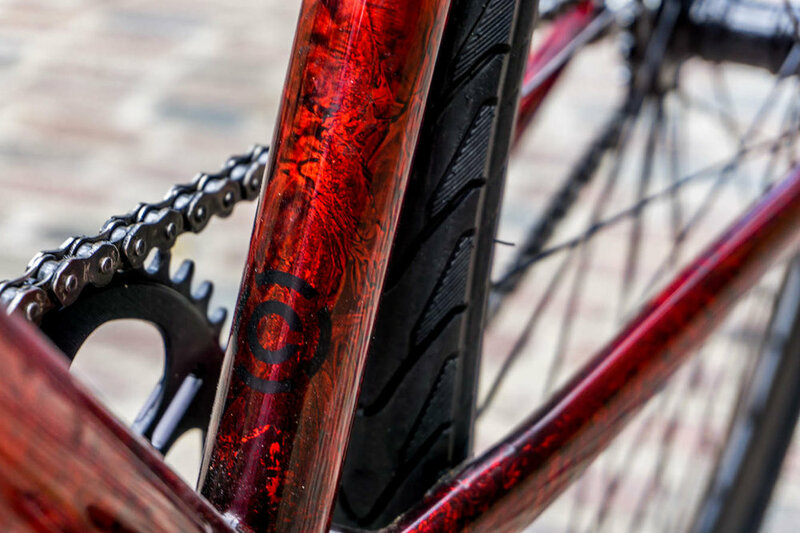 The bike is a “Thrasher” so we added branding in over the gloss clearcoat in a matte finish. Our favourite touch has to be the barber pole thrown in on the steerer tube. Check it out in the video [here].